Make a cosplay outfit for your cat! 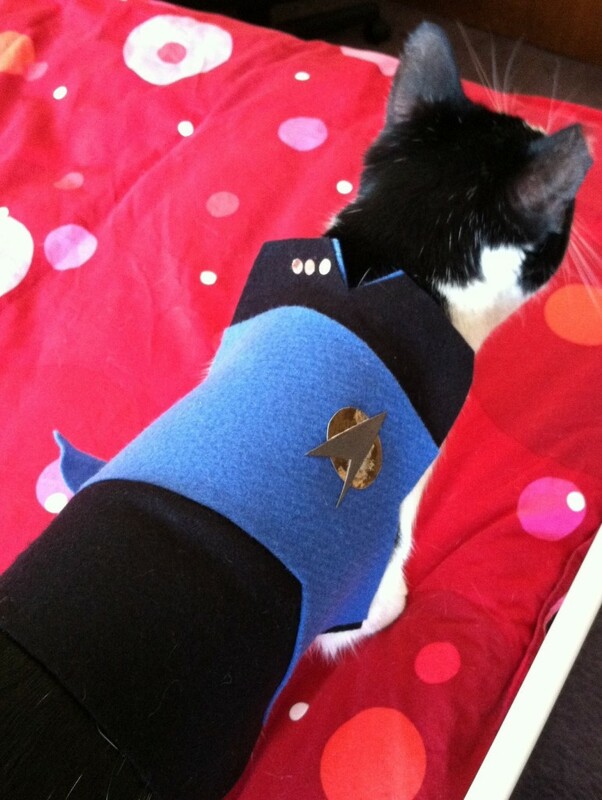 Measure your cat and cut a piece of navy fabric to the pattern needed for the costume. Cut a piece of light blue fabric to fit on top of the navy fabric, glue the fabrics in place and decorate the costume. Cut a piece of fabric for the strap, attach the strap to one side of the costume and attach Velcro fasteners to the other end of the strap and costume.